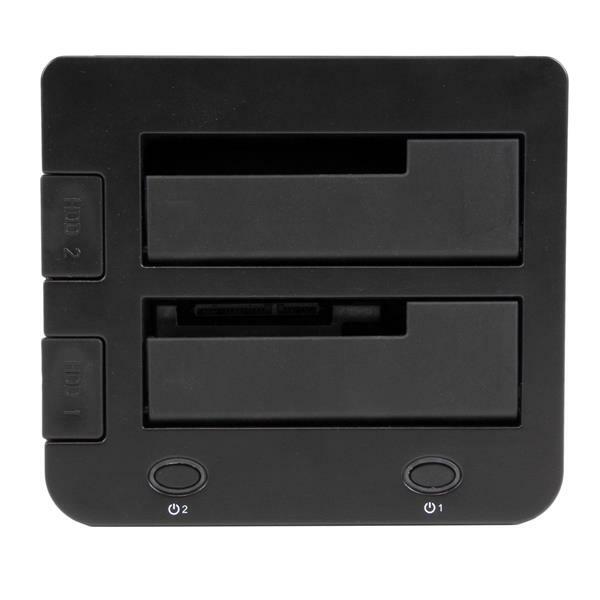 The UNIDOCKU33 USB 3.0 Universal HDD / SSD Dock enables you to instantly access your 2.5 or 3.5in IDE and SATA hard drives through two top loading drive slots, saving you the hassle of mounting the drives into a computer or external enclosure or tray. 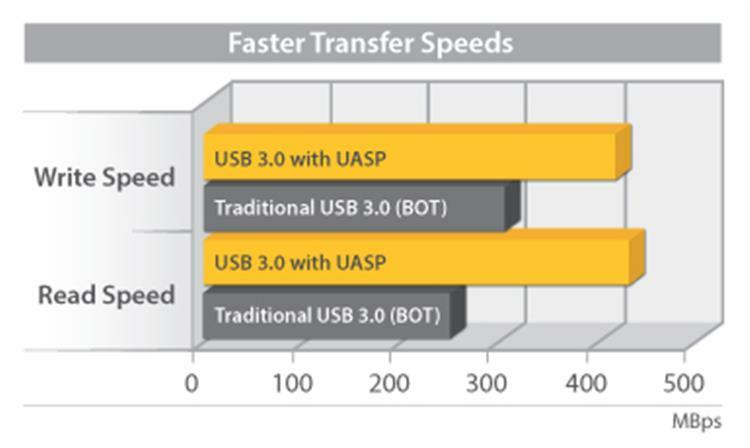 Enhanced with UASP (USB Attached SCSI Protocol), this hard drive docking station lets you get the most out of the fastest drive technologies such as SATA III (6 Gbps), solid state drives (SSD) and hybrid, drives with performance up to 70% faster than conventional USB 3.0 when paired with a UASP-enabled host controller. See our UASP testing results below for further details. The slot-loading design holds the SATA and IDE drives upright inside the docks, neatly keeping them off the desk, for convenience and a clutter-free setup. 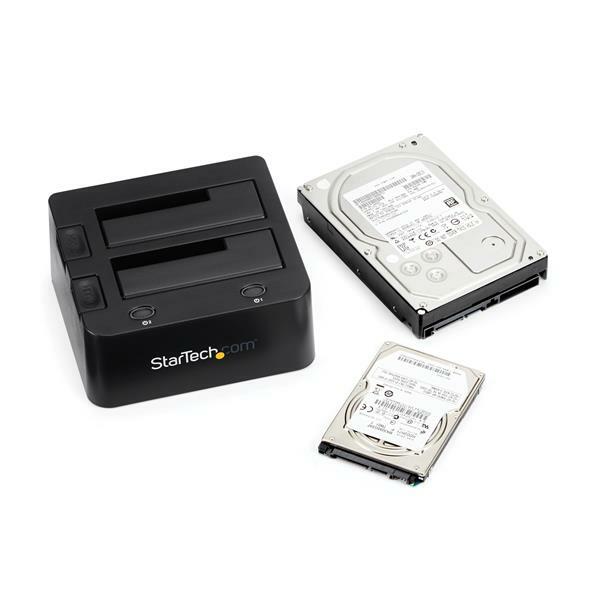 For SATA drives, the HDD can be inserted and connected directly through the designated dock slot, while the IDE drive slot is conveniently positioned near the rear panel 40-pin data and LP4 power connections, making it easy to connect to the dock using the included IDE data and power cables. 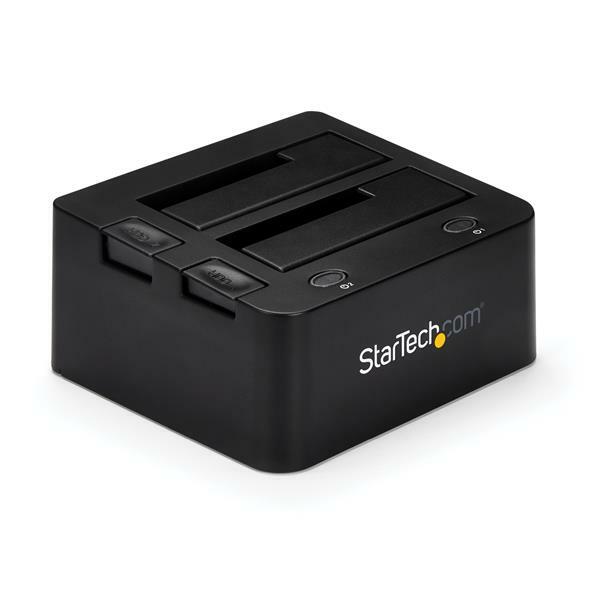 A single USB 3.0 connection to your host computer, enables access to both the IDE & SATA hard drives simultaneously - a convenient solution for migrating data from an IDE drive to a SATA drive or vice versa. The dock can also be used to greatly increase the storage and backup capabilities of your computer system with support for high capacity drives (tested with up to 6TB 3.5" and 2TB 2.5" drives). 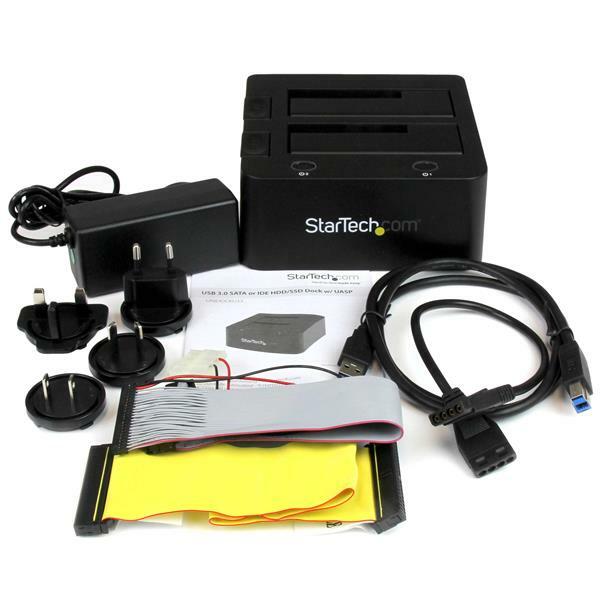 The UNIDOCKU33 is backed by a StarTech.com 2-year warranty and free lifetime technical support. Testing results were obtained using an Intel® Ivy Bridge system, a UASP-enabled StarTech.com Enclosure, and a SATA III solid state drive. 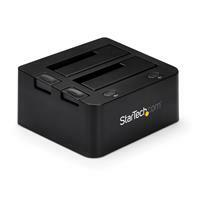 Will my hard drive work in this docking station or duplicator? Make sure that the device supports the storage size of your hard drive. If the storage size of your hard drive is larger than what the device was tested with, the hard drive will likely still work with the enclosure. Confirm that your hard drive uses the same interface type as the device. For example, IDE, SATA, or M.2. Make sure that the device supports the physical size of your hard drive, such as 2.5 inches or 3.5 inches. Verify that the power consumption of your hard drive doesn’t exceed the power output of the device. If you’re using multiple hard drives, make sure that the combined power consumption of all of the hard drives doesn’t exceed the power output of the docking station. Use the cables, hard drives, and hard drive dock or duplicator in another setup to see if the problem is with the components or the setup. Use a different cable, hard drive, and hard drive dock or duplicator in your setup to see if the problem persists. Ideally, you should test a component that you know works in another setup. Note: For a hard drive duplicator you may need to switch the device to PC mode (if available). Why are my hard drives entering an idle state using this docking station? This docking station allows the hard drive to enforce its own power state, as opposed to enforcing a power state that keeps the hard drive active at all times. Since most newer hard drives have low-power energy conservation modes, this will cause the hard drive to enter an idle state if it is not used for a certain amount of time.